I guess this is Marklins latest video; 160 years Marklin. I love it, even non mrr enthusiasts maybe might think it is a nice hobby. This video is way better at presenting the hobby than the one before Christmas, which I did not understand the meaning of. I got the point of the first one, mainly because my collections base is from my late grandfather so it is a means for me to connect with him. Just as in the video. the grandkid connects with his late grandfather trough his Märklin trains. I sort of got that feeling too, but I did wonder about a few details, which made me think of another possible meaning. 1. What was the point of the wall with all the tickets? 2. If the guy in the station is really the late grandfather, then why are all the pictures of the kid updated. Yes, they could be there to create the link, but they are very specific about the pictures being that kid (in the same clothes as well). They are even in one of the pictures together. It made me think that maybe the guy in the station is there to represent the kids imagination. The pictures tell the story that they are the same person. The kid does wear the grandfather's cap at the end, and the whole sequence seems to take place on the kid's layout. The wall is the kid looking forward to Christmas - or - it represents time flying - or - it represents that model railway is an everyday hobby. It might be me, but I don't connect with it as much. It is beautifully made though. I am curious as to how others interpret the meaning? I believe Märklin are desperate after customer when Märklin present and use more and more advertising. The information about model railway world says that it´s getting lesser and lesser interesting of the model railway. Well Goofy, if you open your wallet and buy more MRR stuff instead of complaining all the time, then the industry will be better off. All very well to complain, but what are you doing personally to make things better? Thanks for the post kweekalot. I brought a smile to my face. Nice way to start the day! I usually do not intervene with such posts, but frankly your handle shouldn't be "Goofy" but rather "The Grinch"
What really gives you pleasure in life? Doesn't seem to me that model-railroading is one of these things. Once a vandal, learned to be better and had great success! Because less interesting of model railway and hard business by competitors. The problem is lost of the customer and company do anything to get customer back by present advertising. Märklin 160 years jubilee present by advertising...not short movie which TS thinks so. Well, i Sweden there are a lot of bankruptcies every month; maybe you could tell them how to run their businesses?? What a load of rubbish. Marklin went 'bankrupt' because their bank refused them credit because the venture capital company that bought out the original family ownership was taking every last Eurocent of profit out of the company, and the bank couldn't see how bank loans were going to be repaid. Once they were put into insolvency and the venture capital company was no longer milking all the profits then the declaared profit leapt to some 10 million Euro or more. The reason for Märklin´s bankruptcy has been poor sales figures and employees became without pay. Märklin therefore applied for more credit whose creditors said no. Bankruptcy become a fact then. 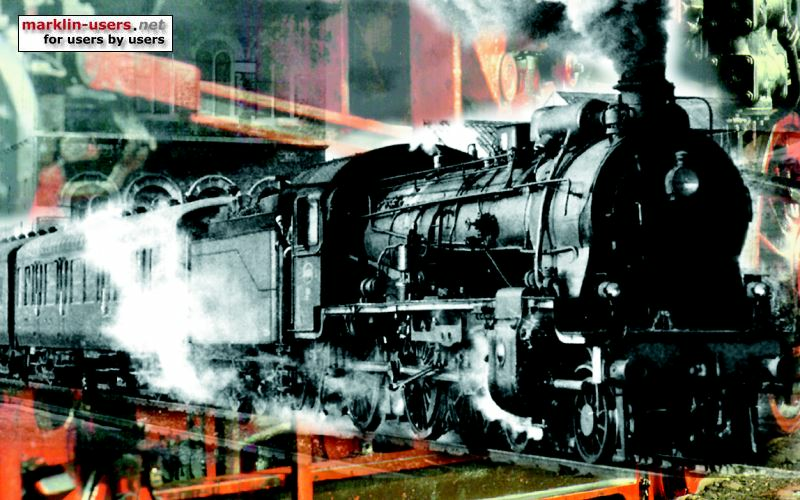 The reason for the deterioration in sales results lies mostly in reduced interest for model railways due to increased interests for others such as computer games and competitors of other model railways. Even if you present the company with the help of advertising, it has not worked so well in any case. Even Denmark do have problem with lot of bankruptcies. You can present advertising of Denmark too? You have presented that Denmark also has problems with bankruptcies. But you should keep in mind that in Sweden we are more and also business enterprises in relation to Denmark who have less population and the number of companies. At the beginning of February, it was ten years since Märklin went bankrupt. Advertising can also be a reminder for customers, to support the companies. Usually, it does help but not when it goes bad with finances. When states go into low tensions, you have to expect hard bangs. Sweden has less that the double population of Denmark, and only around 60% more companies; but 300% more bankruptcies. For what it's worth, Marklin never went bankrupt. The company was in a temporary state of insolvency but never went bankrupt. Exactly; but don't expect Goofy to care about small details like that; he might even not know the difference. It's always funny to read your posts, since you usually have no idea what you are writing about. Goofy are you on this forum just to make yourself look like a child. Please have respect for other peaples countries and there love for Marklin, it is after all the Marklin user forum? And your attitude is by far outnumbered? After all problems with the Märklin trains i do have experience of what problems present. Test and test and test results to see difference. When i did return back to two rail i do see result difference. Today it seems Märklin is going well. Advertising is a message to customer by remind that company exist. Of course does Märklin needs more customer to make more money. That´s how business market works. Yes; but it has no relevance to what I wrote. Have you ever forget Märklin was bankruptcy for ten years ago? Do you still like laughing against company who fall in the bankruptcy? 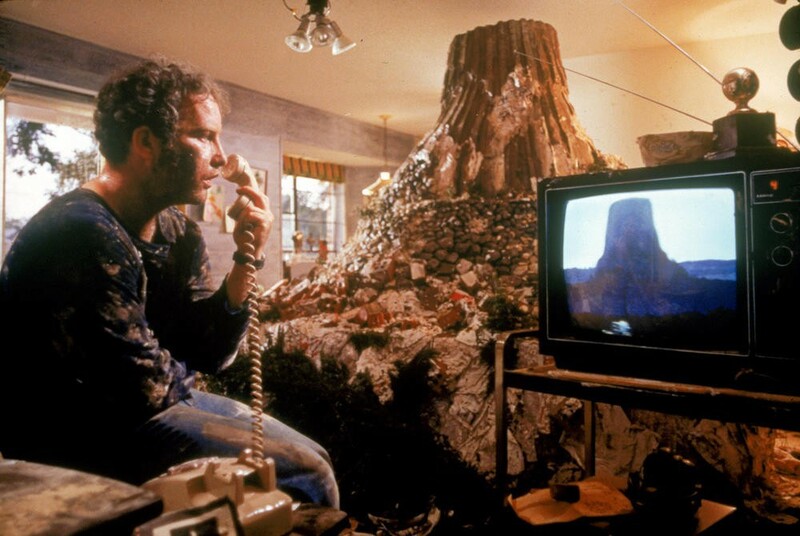 You still don't know the difference between "bankruptcy" and "insolvency"
Seeing the scene at 1:00 where a man and a woman create a mountain I was remembered this scene from Close Encounters of the Third Kind. It is nice to se that märklin is doing well. It is also nice to se that at least one company tries to bring in new customers in to the hobby. I hopa that Roco and Fleischmann survives there hardships, becose competition is good for everybody. Massmedia did present Märklin bankruptcy for ten years ago. Smart people don't trust everything they read on mass media. Smart people finds the facts. In a simple and basic way, let us say that bankruptcy is a consequence of insolvency, if solvency does not recover. A state of insolvency does not prevent an amicable settlement of the debt,...if the creditor(s) are patient. For this reason, the consumer proposal system exists in Canada. What do you want? This is my field. I'm stronger in this than in Marklin's wiring and boosters. I think we misunderstood each other. When I write "what do you want?" in my native country, it is to give more affirmation that I am stronger in one field than in the other. Here in this case it is to affirm that I am stronger in the field of civil law and accounting than in the field of Marklin boosters and wiring. I wasn't talking about Goofy. Goofy, you are a good fisherman. You gets lots of bites. I thought the Bay of Islands was the best place to go fishing,. Obviously not. You get the facts support by of massmedia. If you are smart, then don´t read anything at all with the massmedia. You can use jungle telegram instead. The bankruptcy are consequence of porr economy and become a fact happens. There are many reasons for bankruptcy. And has been pointed out to Goofy a number of times now Marklin did not go bankrupt. If they had they would no longer exist. I wasn't talking about Marklin, but in general. This page was generated in 1.456 seconds.